Australia’s squad for the first two Ashes Tests announced on Friday injected all followers of English cricket with a sense of optimism. There’s no doubt that the tourists will be extremely happy with the surprise inclusions of Tim Paine and Shaun Marsh in particular, two players the wrong side of 30 and with patchy Test records. The wicketkeeping position, perhaps Australia’s weakest area right now, was always going to be a difficult call. But the decision to go with Marsh ahead of Glenn Maxwell at No.6 is genuinely baffling to English fans and media. The team are probably happy, too, that a player whose batting could have caused some serious damage and whose bowling would have offered Steve Smith a useful escape valve for his frontline bowlers has been overlooked. Perhaps the reason the English are happy Maxwell is missing is because he reminds them a little of Moeen Ali. England’s spinning all-rounder has been a huge success since coming into the Test team in 2014 and arrived in Australia on the back of a golden northern summer that saw him take 30 Test wickets at 21.30 and score 644 runs in all formats at an average of 51.78. It’s his batting, though that will be especially important when the Ashes begin next week given the absence of Ben Stokes, England’s key all-rounder who is still back in the UK while police continue their investigation into his late-night tussle in Bristol in September. For the Ashes that means Moeen move up one place in the order to No.7 – you may recall he scored some useful runs from eight during the 2015 series in England. With promotion comes greater responsibility but a player who has five Test hundreds and averages just a shade below 40 over the past 18 months is capable of making a success of the move. The only problem for Moeen and England is the fact the 30-year-old is heading into the Ashes seriously undercooked. 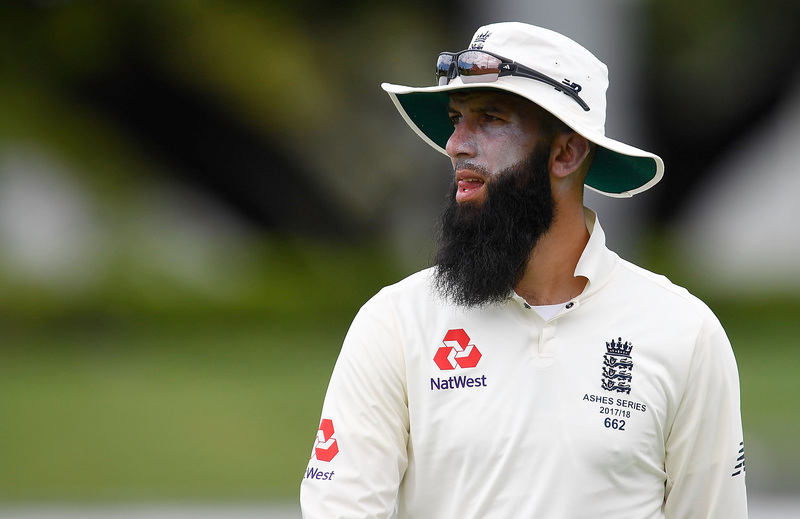 Having missed England’s opening two tour games with a side strain sustained within a day of the team’s arrival in Perth from the UK, this final warm-up match against a Cricket Australia XI in Townsville is Moeen’s only action ahead of next week’s first Test. The two wickets he picked up in the final session on day three were encouraging and went a long way to ensuring he will not be required to bat again in this match. That means he will head to the Gabba having faced just 22 balls after falling cheaply on this third day. Moeen made five runs in that time before he was bowled by the occasional off-spin of home captain Matthew Short. It was a poor dismissal but who can blame him for being rusty given his last competitive innings before this came more than seven weeks ago during the penultimate game of England’s one-day series against West Indies at The Oval? Moeen has been practising hard in the nets, but mainly against fast bowling such is his expectation that Australia’s three quicks will pepper him with short balls. The bouncer has been a weakness for Moeen over the years but he has improved against it. Speaking earlier this week after he had fed a crocodile named ‘Bully’ at the Billabong Sanctuary in Townsville, Moeen admitted: “They will definitely come after me. All that practice against the short stuff has probably made Moeen slightly rusty against spin, with Short, who before this match had one first-class wicket to his name, no Graeme Swann. So, rather than peppering England’s No.7 with bouncers, Steve Smith might be better advised to toss the ball to Nathan Lyon when Moeen comes out to bat at the Gabba next week. After all, if Australia can get in top of him then they will have nullified a major threat in their opposition’s middle order.